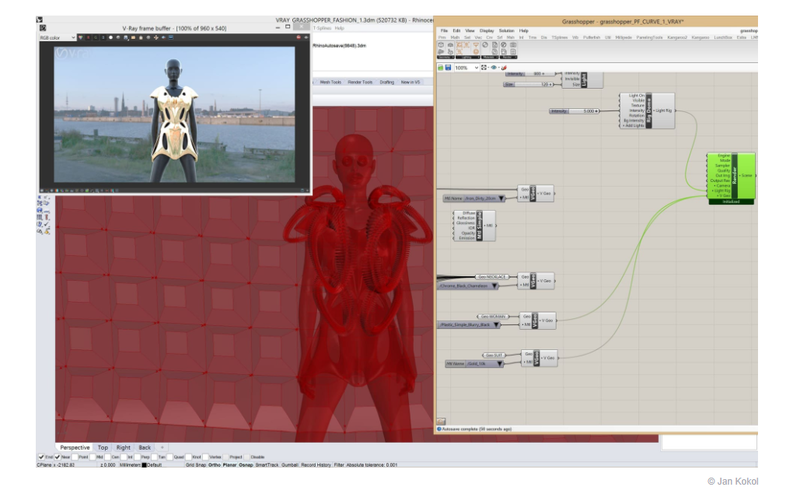 Chaos Group now includes V-Ray for Grasshopper in its latest version of V-Ray for Rhino. Learn how one designer uses V-Ray 3.6 for Rhino to create photorealistic imagery from within Grasshopper. In V-Ray for Grasshopper, Imago Design founder Jan Kokol explains what’s new, and how it changes his workflow. Why is this important? Before this integration existed, any geometry created in Grasshopper had to be translated to Rhino geometry before it could be rendered inside of Rhino. With V-Ray for Grasshopper, you no longer need to do that. Instead, render Grasshopper geometry directly inside Grasshopper, in full V-Ray quality. To give V-Ray for Grasshopper a try, download a 30-day free trial of V-Ray for Rhino.